Cambridge is one of my favorite cities in England. It is picture-perfect, filled with history, and home to one of the most famous universities in the world. Many tourists do a day trip to Cambridge from London because it is only an hour train ride away, but the city has so much to offer that it is worth staying longer. Consider making Cambridge the base for your trip, as this will allow more time to explore the greater area. There are a number of easy day trips from Cambridge that give you the opportunity to see other amazing places in England too. Cambridge could be an ideal base to explore more of England. Cambridge is located in Cambridgeshire in the East Anglia region of England. Most people think of the region as mostly flat, but there are some hilly areas. Outside of a few reasonably-sized towns and cities, the area is mostly rural with a strong farming industry. The smaller cities and towns in England are often worth taking the time to explore. They still give you that sense of history and medieval architecture you get in London, but without the crowds, and you get a different perspective from what you might be familiar with from seeing London on TV! Many of the destinations in this post can be reached by public transportation from Cambridge, but having a car does open up a few more options. An additional perk is that most of the ideas I have listed also have attractions that are free to visit. Norwich is the capital city of the county of Norfolk and now my adopted home. (You can read more about how I moved to England here.) In medieval times, it was England’s second most powerful city. The street plan and some of the city walls are still intact, making it a picturesque place to explore. Norwich Castle dates back almost 1000 years! 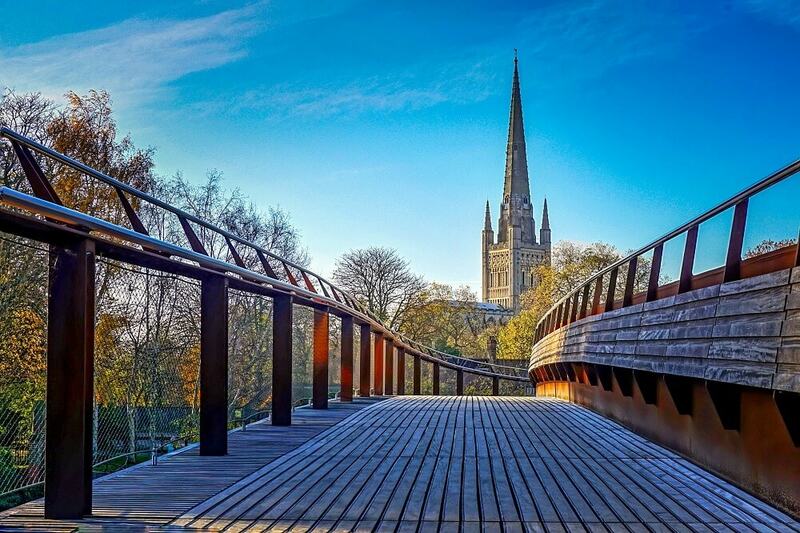 Visit the Norwich Cathedral. It’s one of the finest complete Romanesque buildings in Europe, with the highest Norman tower and largest monastic cloisters in England. Go inside Norwich Castle. It was built as a Norman Royal Palace and was once a prison, now it’s also a museum with a wide range of exhibits including modern art, ancient Egyptian artifacts, and more. Go shopping. The Norwich Market is one of the largest and oldest open-air markets in the country. Note: The Norwich Market is closed on Sundays. Also, leave some time to explore the Norwich Lanes which are full of quaint independent shops and restaurants. See Elm Hill, with its Tudor-style buildings, is one of the prettiest streets in England. If the weather cooperates, the Riverside Walk along the River Wensum is peaceful and scenic. For lunch, try Grosvenor Fish & Chips, the Lamb Inn, or the Bicycle Shop. It’s just a little more than an hour away from Cambridge by train. Click here to check the schedule and prices. Ely is one of the smallest cities in England, but definitely worth a visit for its Cathedral alone. The name Ely comes from the Isle of Eels when the city was surrounded by water and marshland. Eels are still caught in the River Great Ouse and many still consider smoked eel a delicacy. The Octagonal Tower makes the Ely Cathedral unique. 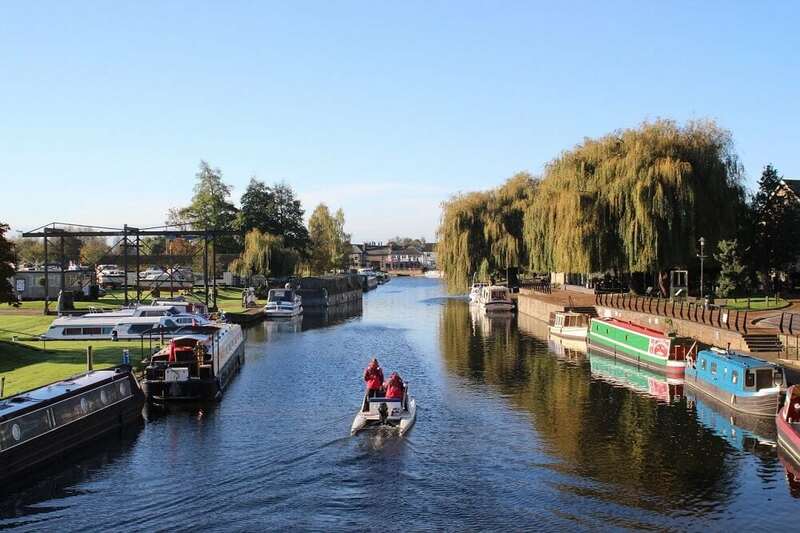 The Riverside area in Ely is perfect for a relaxing walk (or boat ride!). Stroll through the Jubilee Gardens. It’s along the river on the way from the train station to the city center. Go inside the Cathedral. It has a unique octagonal tower. The architectural details are impressive and the damage done during the Reformation is evident. They offer tours of both towers but you need to be able to climb the stairs. You might recognize the Ely Cathedral from the crown when it stood in for Westminster Abbey on the wedding day of Queen Elizabeth and Prince Phillip. Admission to the Cathedral is free on Sundays. See the Stained Glass Museum inside the Cathedral. 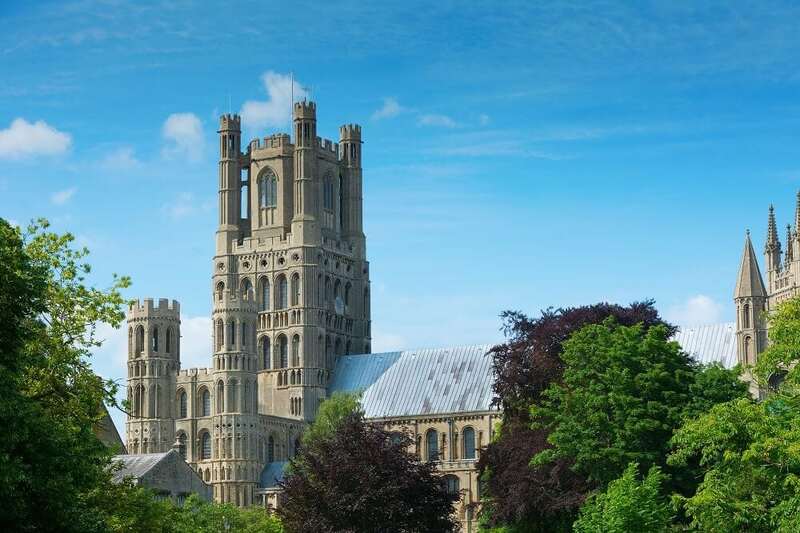 Visit the Ely Museum to learn the story of Ely from prehistoric times to the twentieth century. The museum is housed in the city’s former jail. Stop by Oliver Cromwell’s House, it’s a short walk from the Cathedral. He lived in this house for 10 years with his family and now it has been turned into a visitor center and museum. It’s less than 20 minutes from Cambridge to Ely on the train. Click here to check the schedule and prices. Bury St. Edmunds is a small city located about 30 miles east of Cambridge. It used to be a pilgrimage site where people would come to see the shrine to King Edmund who died in 869. Now, it is known for brewing (Greene King brewery) and a sugar processing factory. You can’t even tell that the tower of the Cathedral was added recently! The Bury St. Edmund’s Abbey is just ruins but definitely worth exploring. Visit the Cathedral. It’s unique because the church has been around hundreds of years but the tower was added in 2005. It’s free to visit the church, but there is a charge if you want to do a guided tour or a tower tour. Take a walk around the Abbey Gardens. The Abbey is now just ruins but it’s easy to see how magnificent it must have been. It was one of the richest and most powerful Benedictine monasteries in England. It’s free to visit the Abbey Gardens. Step inside Moyse’s Hall Museum. It’s housed in a beautiful medieval building in the Market Place, with quite eclectic exhibits. You can learn about the history of Bury, witchcraft, rare timepieces, and see paintings. The museum is popular with families. Browse the Bury St. Edmunds Market. It’s smaller than the Cambridge or Norwich Market but you can still find some unique local products. It’s open on Wednesdays and Saturdays. Note: If you are lucky enough to visit during the Bury St. Edmunds Christmas Market, be prepared for crowds! There are some direct trains to Bury from Cambridge that take about 40 minutes. In some cases, it may take about an hour because you need to change trains in Ely. Click here to check schedules and pricing. 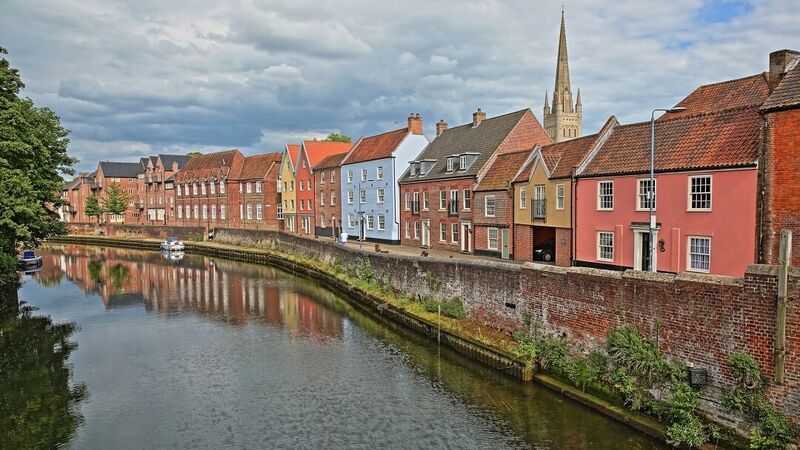 Thetford is a small town about halfway between Cambridge and Norwich that is full of history. It is probably best known as the hometown of Thomas Paine, one of the founding fathers of the United States and the author of Common Sense. There is a nice statue of Thomas Paine on King Street with some of his most famous quotes. Even before Thomas Paine’s time, Thetford was an important town. The climb up Thetford Castle is worth it for the views. You can imagine what the Priory looked like in its prime. 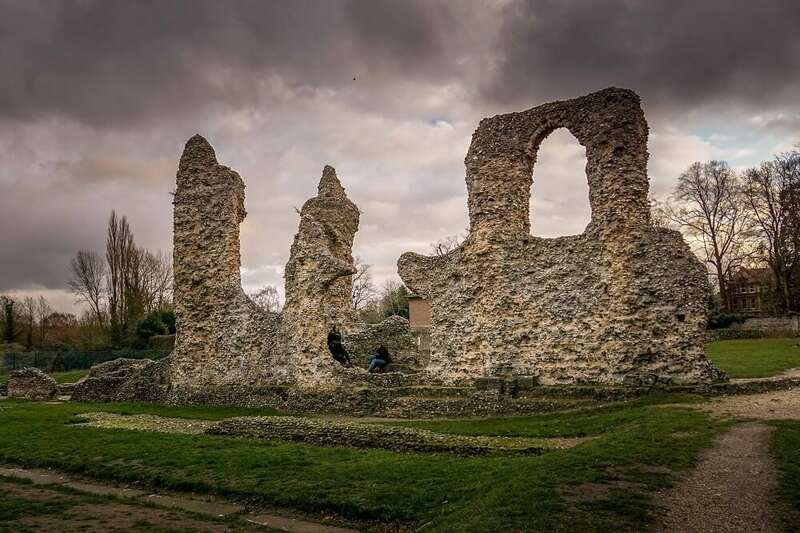 Explore the ruins of the Priory of Our Lady of Thetford. It was one of the largest and most important monasteries in medieval East Anglia. 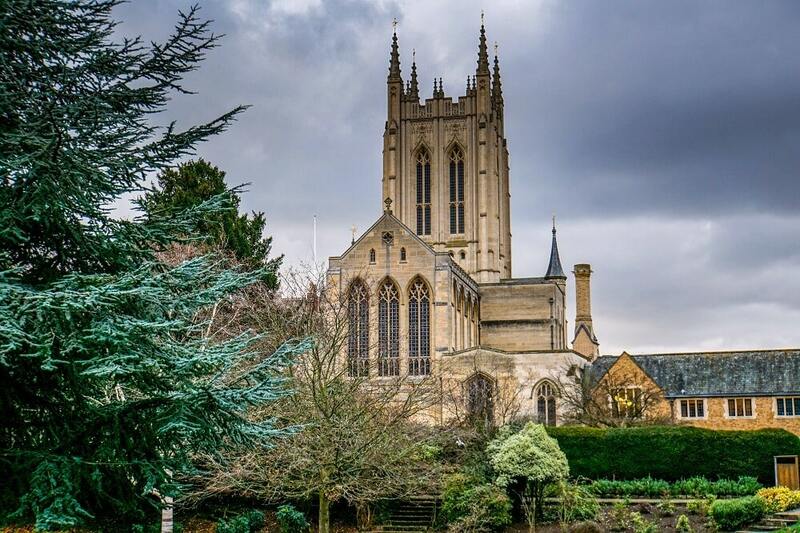 Founded in the early 12th century, it was the burial place of the Earls and Dukes of Norfolk for 400 years. 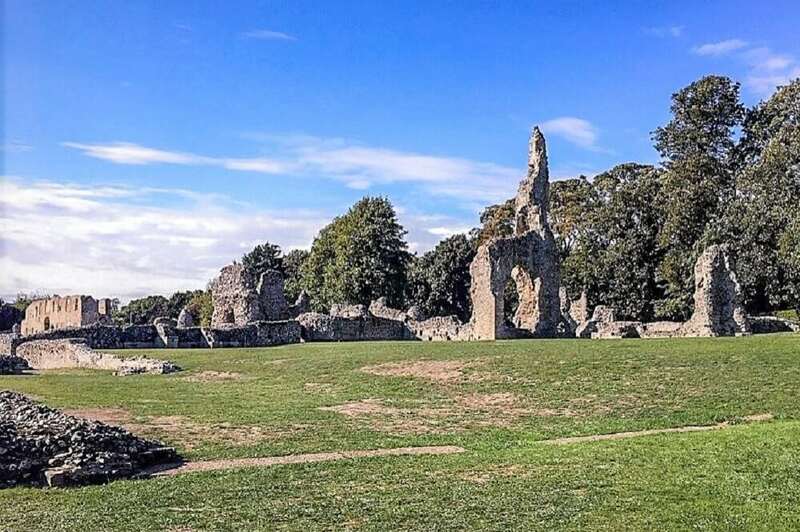 It is free to visit the Thetford Priory. Climb to the top of Thetford Castle. 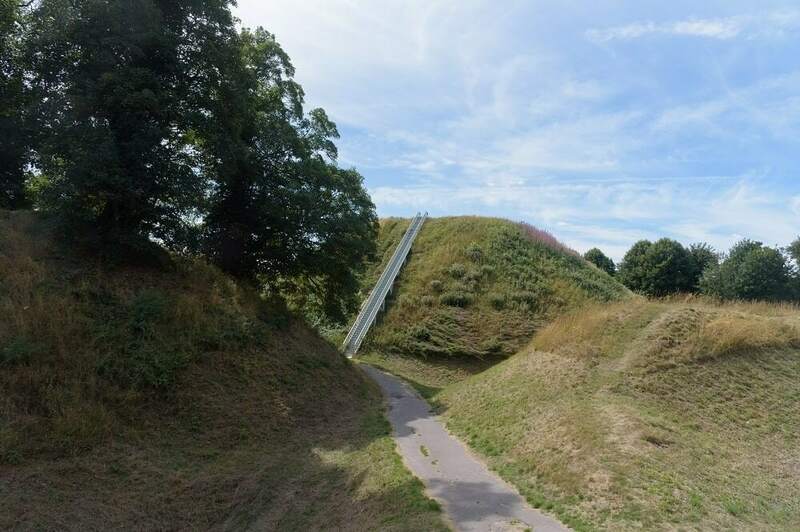 It’s the second largest man-made mound in England. Unfortunately, that’s all that’s left of the castle as it was largely destroyed in 1173 by Henry II. Thetford Castle is free to visit. Visit the Ancient Museum and the Charles Burrell Museum to learn more about the town’s history. For lunch and/or a beverage check out the Bell across the street from the Thomas Paine statue. It takes about 45 minutes on the train to get to Thetford from Cambridge. Click here to check schedules and pricing. King’s Lynn was one of England’s most important ports from as early as the 12th century. The town’s heritage is reflected in the historic buildings and market places. The architecture in King’s Lynn is traditional. You can still tell that Kings Lynn was an important port. Explore the Lynn Museum to learn more about the history of the area including the Seahenge that is over 4000 years old. You can also see artwork from Henry and Thomas Baines and Walter Dexter – who are from the area. 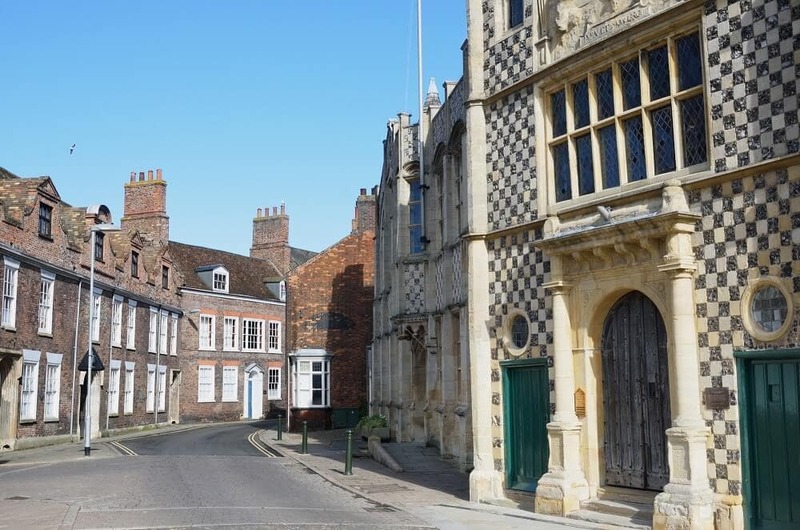 Go inside the Town Hall to see the Stories of Lynn and learn more about the seafarers, explorers, mayors, and miscreants who have shaped King’s Lynn. Check out Marriott’s Warehouse to learn more about the unique wildlife of The Wash.
Go to the Custom House where there is a free maritime museum on the first floor. 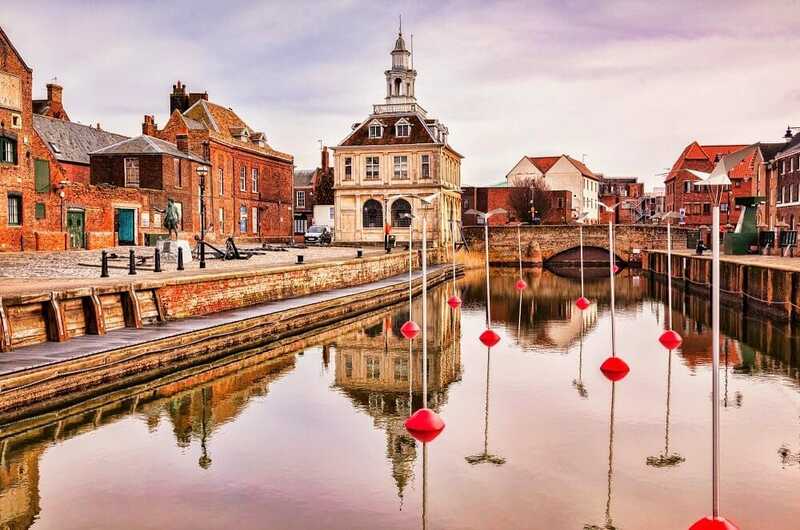 Visit True’s Yard Fisherfolk Museum to learn what life was like for the old fishing community in King’s Lynn. It takes about an hour on the train to get to King’s Lynn from Cambridge. Click here to check schedules and pricing. Leicester (pronounced Lester) is one of the oldest cities in England. It is known for its connection to Richard III and it’s miraculous English Premier League win in 2016. Leicester is located in the East Midlands of England and lies on the River Soar, close to the eastern end of the National Forest. Next to the Cathedral is the medieval Guildhall. 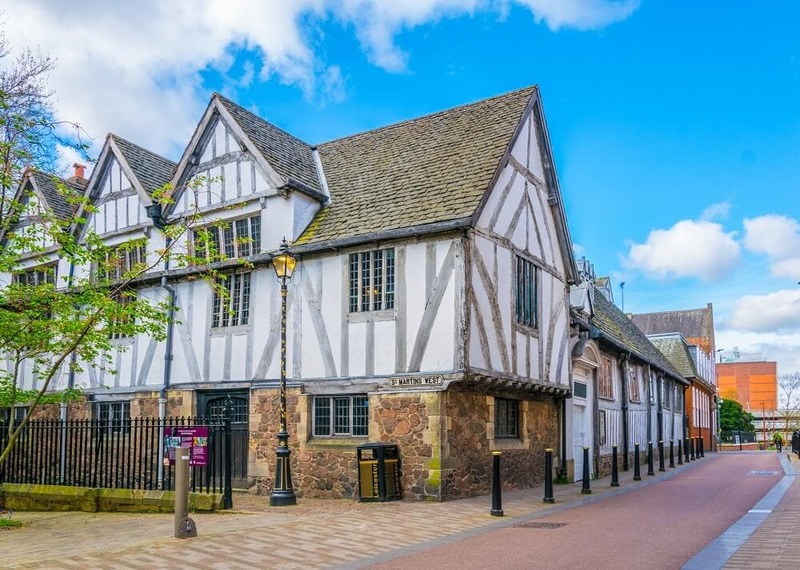 Go inside the Richard III Visitor Center to learn the moving story of the life, death, and discovery of King Richard III. The center is located on the grounds where Richard III was buried 500 years ago. 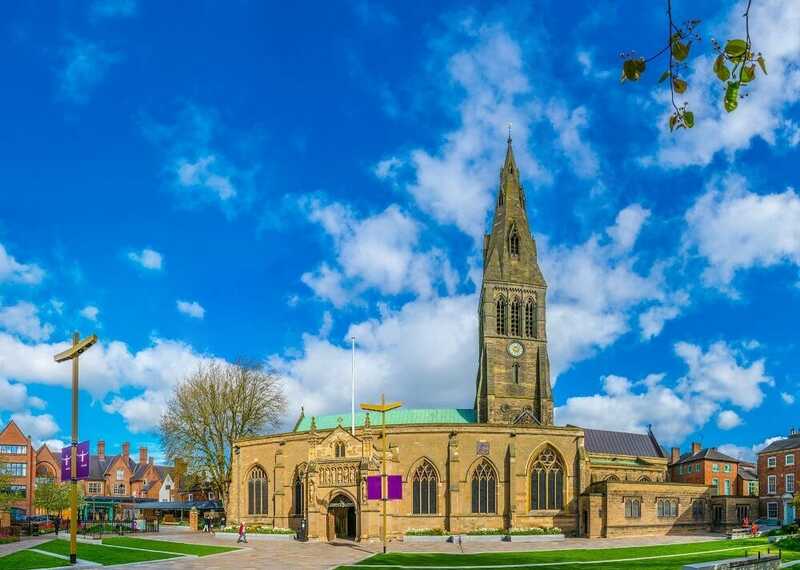 Visit the Leicester Cathedral to see Richard III’s tomb. The church is 900 years old and has some beautiful stained glass. It’s free to go inside Leicester Cathedral. Explore the New Museum. It has a diverse collection including dinosaurs, art, and other rotating exhibits. The New Museum is free to visit. Go to the National Space Center. They have six interactive galleries, the UK’s largest planetarium, a unique 3D SIM ride, and a 42-meter tall Rocket Tower. Note: The National Space Center is about a 40-minute walk from the train station. You can also take the 54 bus to Byford Road and it is a 6-minute walk from there. It’s a little less than two hours on the cross country train to get to Leicester from Cambridge. Click here to check schedule and pricing. Oxford is Cambridge’s rival University city located 85 miles to the southwest. 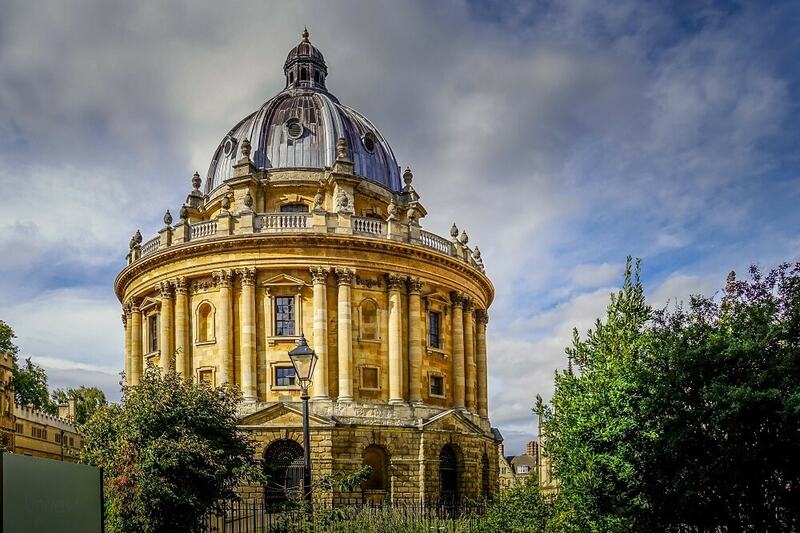 It’s easy to see why Oxford is known as the City of Dreaming Spires. Similar to Cambridge, the biggest attraction in Oxford is the University, and they even have a Bridge of Sighs too. The Bodleian Library is the 2nd largest library in the country. Inside the Ashmolean is an impressive and diverse collection. Tour the colleges! Harry Potter fans will want to visit Christ Church College where some scenes in the movie were filmed or maybe do a Harry Potter tour. 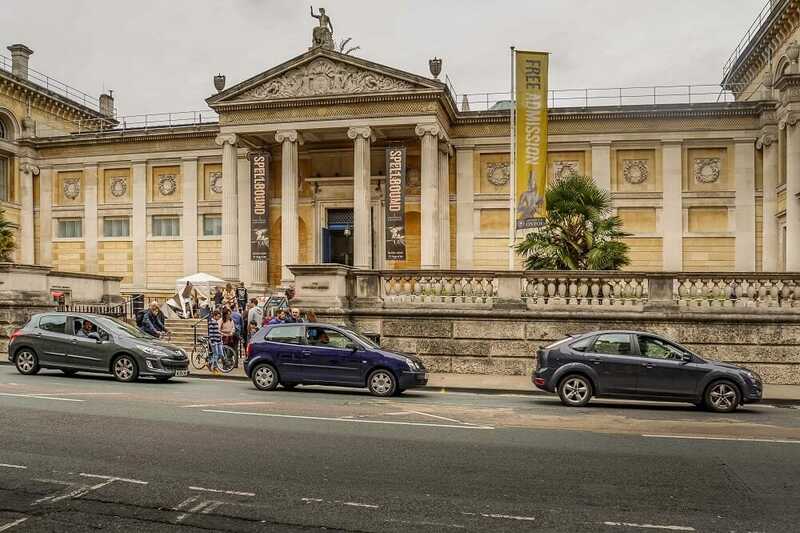 Visit the Ashmolean Art & Archeology Museum. They have a large collection which reminded me a bit of the Fitzwilliam Museum in Cambridge. Go to the Museum of the History of Science to see early scientific instruments. It’s an interesting collection that even includes items associated with George III, Einstein, and Lawrence of Arabia. See the Bodleian Libraries. It’s one of the oldest libraries in Europe! Additionally, it’s the second largest in Britain, only the British Library is larger. Together, the Bodleian Libraries hold over 13 million printed items. They offer both guided and self-guided tours and there are always some fascinating exhibits too. 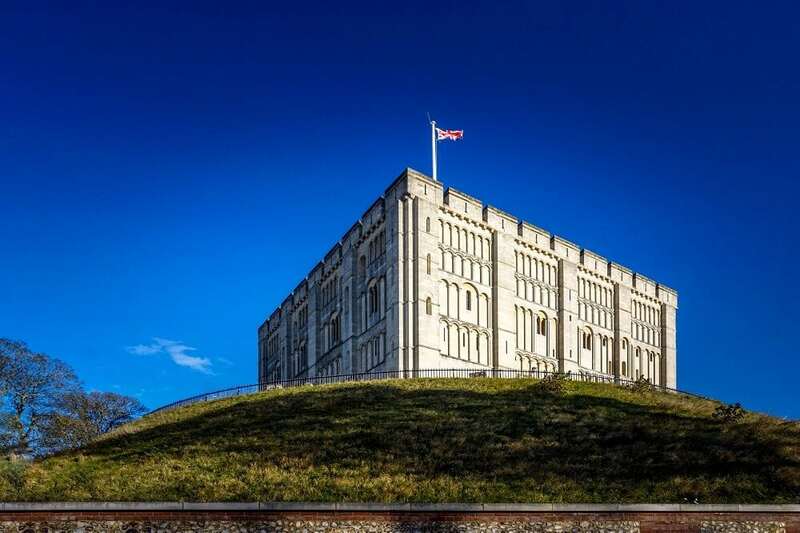 Take a guided tour of Oxford Castle and Prison. It includes climbing the Saxon St. George’s Tower, going into the 900-year-old crypt of St. George’s Chapel, seeing the 18th-century Debtors’ Tower and Prison D-Wing, and more. Grab a bite or a pint at the historic Eagle and Child Pub. It was a favorite hangout for writers like Lewis Carroll, C.S. Lewis, and J.R.R. Tolkien. It’s fastest to just drive to Oxford but there is also a direct bus. Click here to check schedules and pricing for the bus. To take the train to Oxford, you would have to go through London. Click here to check schedules and pricing for the train. London needs no introduction. The problem with doing a day trip to London will be deciding what to do because London has so much to offer. 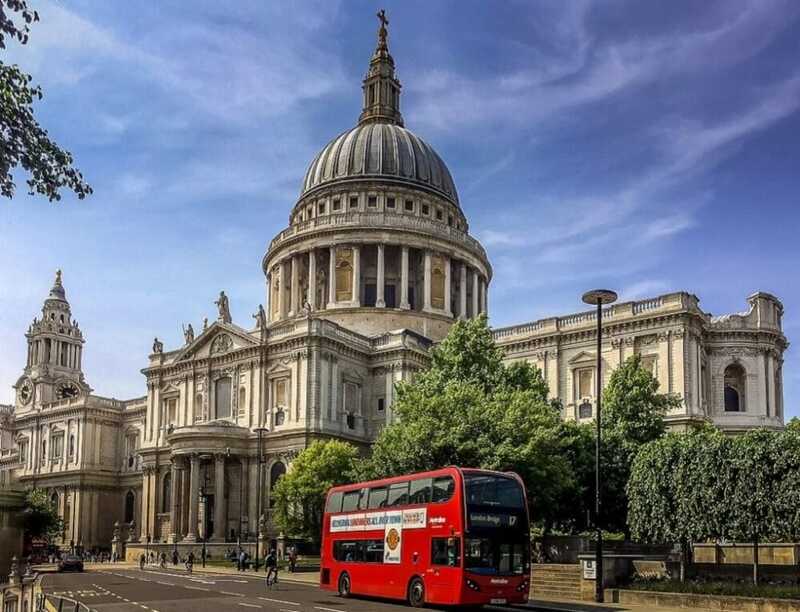 St. Paul’s is one of London’s iconic landmarks. 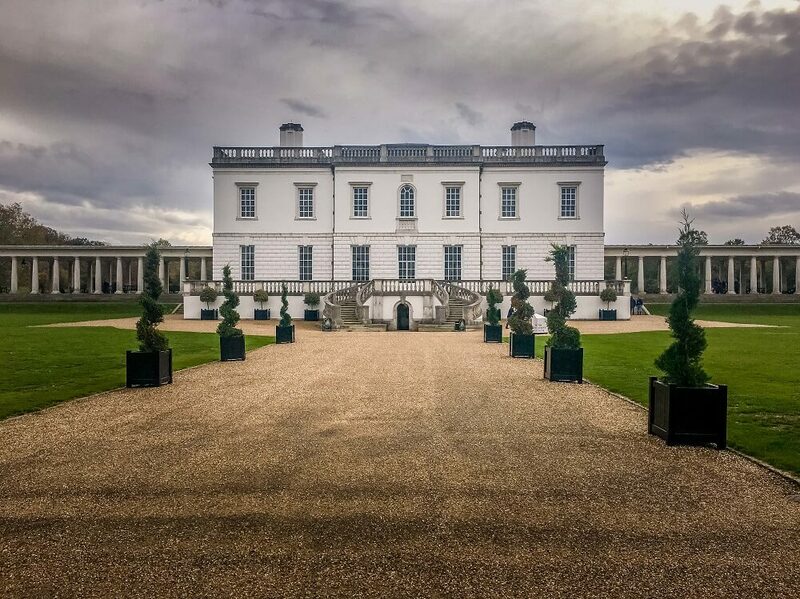 The Queen’s House is worth the journey to Greenwich. For those, that haven’t been to London, I recommend the Tower of London and the British Museum. If you have been to London before and seen some of the main attractions you might like to do a Harry Potter or Street Art Tour. I also love the Greenwich area. You can go to the Greenwich Observatory where the Prime Meridian is located, visit the Queen’s House, or even climb over the O2 arena. London also has no shortage of food options. I have written about the food scene in Shoreditch and Mexican restaurants. The best way to travel to London from Cambridge is by train as it takes about an hour. There are options to go into London Liverpool Street Station or London King’s Cross Station. Click here to check schedules and pricing. While there are plenty of options for places to visit near Cambridge by public transportation, having a car does open up a few exciting options. Keep in mind driving in the UK is quite different from the US. Stonehenge is the most famous ancient monument in England. In addition to the Stone Circle, there are several other neolithic sites to visit in the area. Read more about visiting Stonehenge here. Stonehenge is an English Heritage site so members can get in free. If you like visiting historic sites in England, it’s worth considering becoming a member, we have definitely gotten our money’s worth! Click here to get more information on English Heritage membership. If you are visiting England from overseas, consider getting the English Heritage overseas pass. As you can imagine, Stonehenge is not easily accessible by public transportation as it is in the middle of the beautiful Wiltshire countryside. 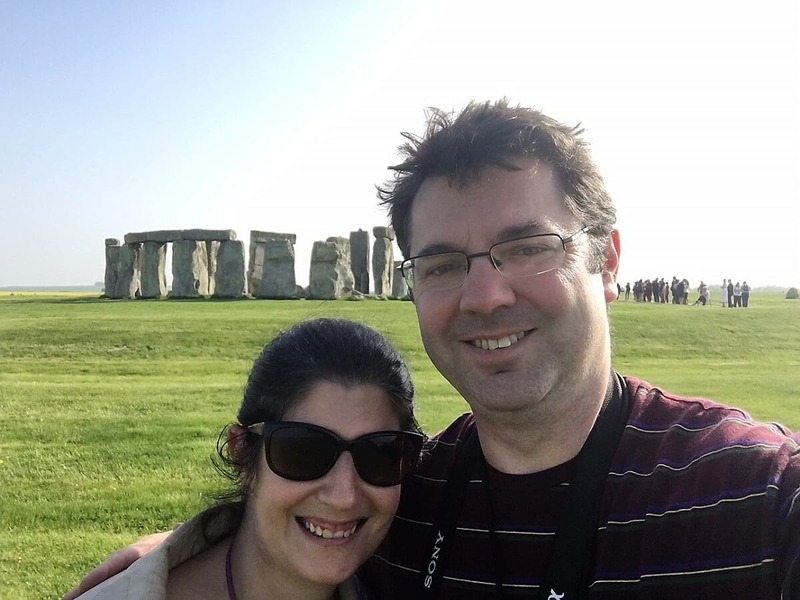 It takes a little more than two hours to drive from Cambridge to Stonehenge. 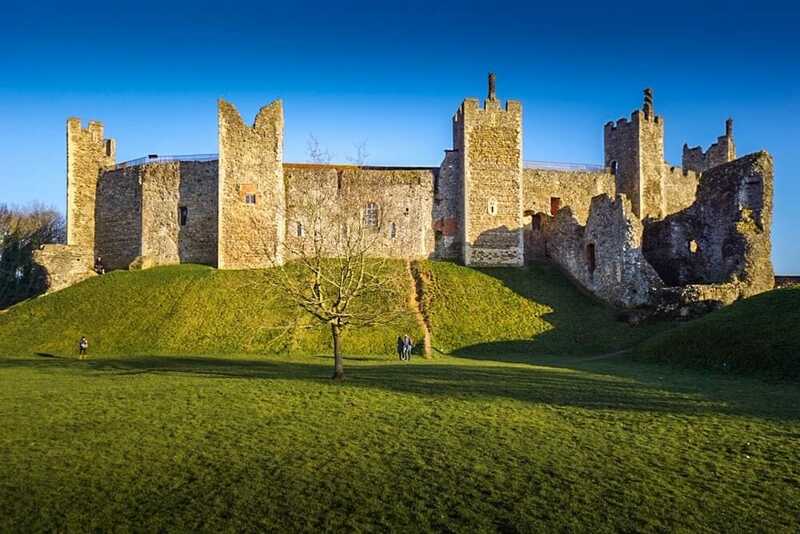 Framlingham Castle has an interesting history dating back to the 12th century. It is where Bloody Mary (Mary Tudor) was crowned Queen of England. Read more about visiting Framlingham Castle here. Similar to Stonehenge, Framlingham Castle is an English Heritage site so members can get in free. Click here to get more information on English Heritage membership. If you are visiting England from overseas, consider getting the English Heritage overseas pass. It takes about an hour and a half to drive from Cambridge to Framlingham. Other attractions nearby include Saxton Green Post Mill (also an English Heritage site) and Helmingham Hall Gardens. In England, trains are surprisingly expensive. To get the best price, purchase tickets in advance, avoid peak hours and select specific train times. If you plan on doing a lot of travel on trains during your time in England, consider purchasing a rail pass. Click here for more information on rail passes. Cambridge is a worthwhile destination in its own right, but it could also be a convenient base to see more of England. As you can see there are a few interesting options if you want to do a day trip from Cambridge. Have you visited any of these cities or towns near Cambridge? Many day trips can be done using public transportation but some (like Stonehenge and Framlingham) require a car. Be sure to book train travel in advance, you check the schedule and prices on Trainline. Small towns and cities in England make for perfect day trips. It’s easy to see the top sites and learn more about the history. Awesome tips Anisa. When I went to England I only visited London (typical lol) Maybe next time I can add on some of these other places. Thanks Victoria. I hope you can make it back to England, so much to see! I make so many trips to London but I don’t often get out to see other cities and towns. Thanks for this great list of suggestions…I’ll definitely save this for my next trip to the UK. Nailah – Yes, I think that is pretty common. There is so much to see outside of London. I love this! I actually had the chance to visit Cambridge on a layover in Stansted and I would like to return to explore more of the area! Jen – Thank you! Yes, the area has a lot to offer. Thanks Lisa! I hope you get the chance to visit.